I am blessed with wonderful in-laws. 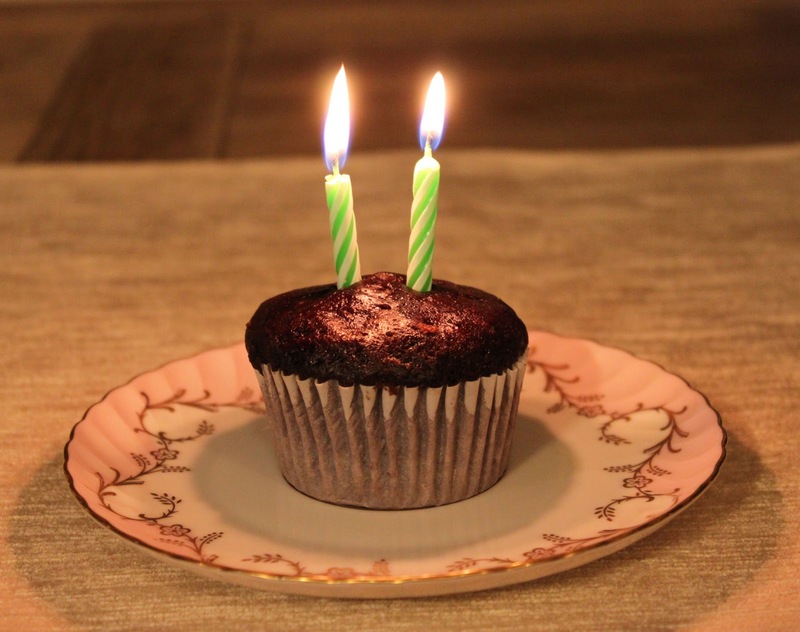 When my husband and I telephoned to tell them that we were engaged, they welcomed me to the family and, in their extremely Hungarian way, gave me a nickname: Other Daughter. After more than 14 years of marriage, they are my Other Parents, and I feel as much like their daughter as a daughter-in-law can feel. Lucky, lucky, lucky all around. My husband and I have known each other 18 years, and most of those Decembers we have spent the holiday week with his parents. The extended family collects for a secular Christmas celebration, and both my mother-in-law and her cousin bake spectacular traditional Hungarian pastries. Line a sheet pan with foil. In a small bowl, mix together the cumin, salt, cayenne and 1 Tbsp sugar. Sprinkle half of this mixture on the foil-lined pan. Put the almonds and the remaining 1/2 cup sugar into a nonstick skillet over medium-high heat. Shake the pan and stir the mixture with a wooden spoon as the sugar melts and the nuts toast. Pay attention, because the sugar will go from caramelized to burned extremely quickly. When the sugar is a dark amber color, quickly pour the almond mixture onto the foil, then sprinkle over the rest of the spice mixture. Pick up the ends of the foil to distribute the spices over the nuts. Working quickly, separate the nuts on the foil, then let them cool. They will harden as they cool down. Store in an airtight container. Share with your friends and family, if you can bear it. Do other people get inexplicable urges to cook or bake something completely unnecessary? That's how I felt the other day when I woke up thinking about thumbprint cookies. I'm trying not to eat sweets. 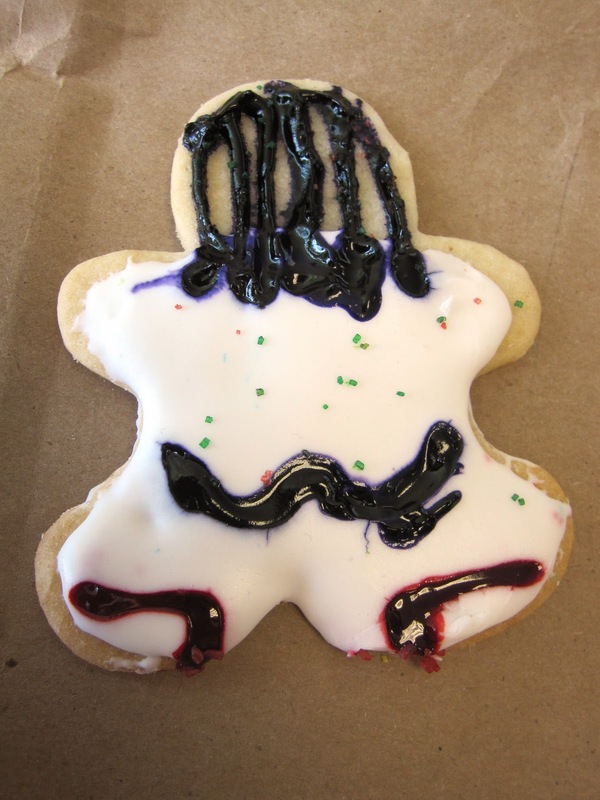 My kids don't need more cookies at this time of year. 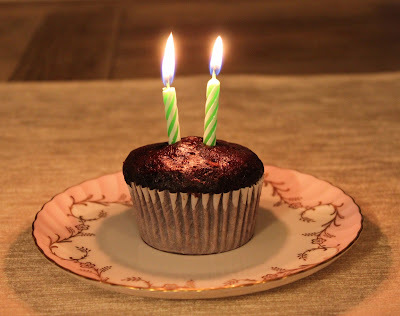 My husband won't eat any non-chocolate dessert. And I knew my mother-in-law was about to arrive with a carload of goodies. But when the urge strikes, how can you deny it? 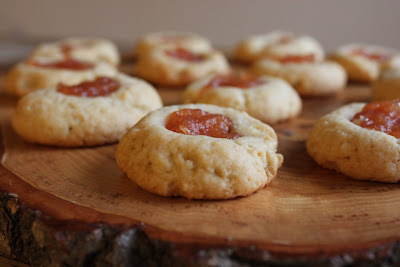 My Twitter friend @amy_i pointed me to a recipe for jam thumbprint cookies on her blog Playing House. Normally I make a shortbread dough for thumbprint cookies, but Amy's dough has cream cheese, eggs and leavening, and the final cookies are pretty soft. I filled them with homemade quince jam and fed them to some happy kids. I even snuck a few. I go through phases when I cook. This fall I have been in my quince phase. It started when I was served a poached quince with rosewater at Sauce on Hampton, a tiny jewel of a restaurant in Venice. It was my first experience with quince in its whole-fruit form. The flavor was lovely, like an ultra-floral pear. But I was truly mesmerized by the quince's texture: pure velvet. I bought some quince and got to work. First I poached quince segments with sugar, a splash of vanilla and a squeeze of lemon. Next I begged a friend's mother's recipe for khoreshe behh, an unusual Persian beef stew with quince. When that was gone, I made jam. 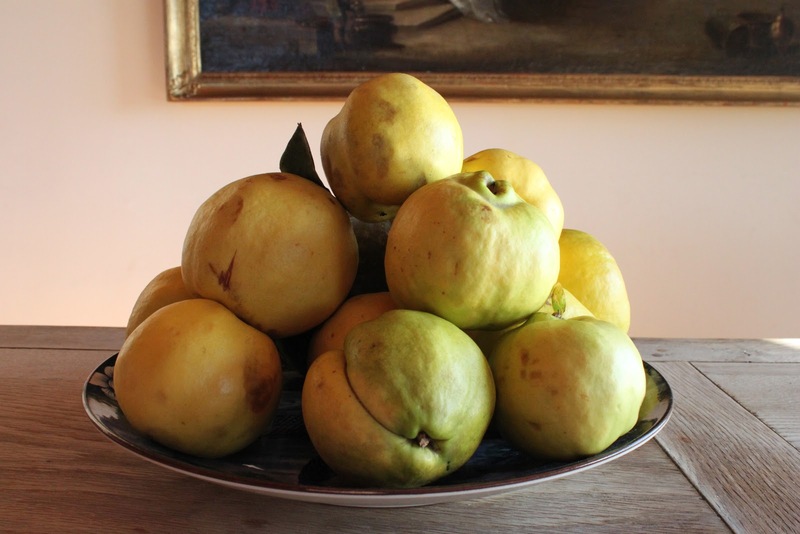 Quince in its pure, raw state is astringent and inedible. 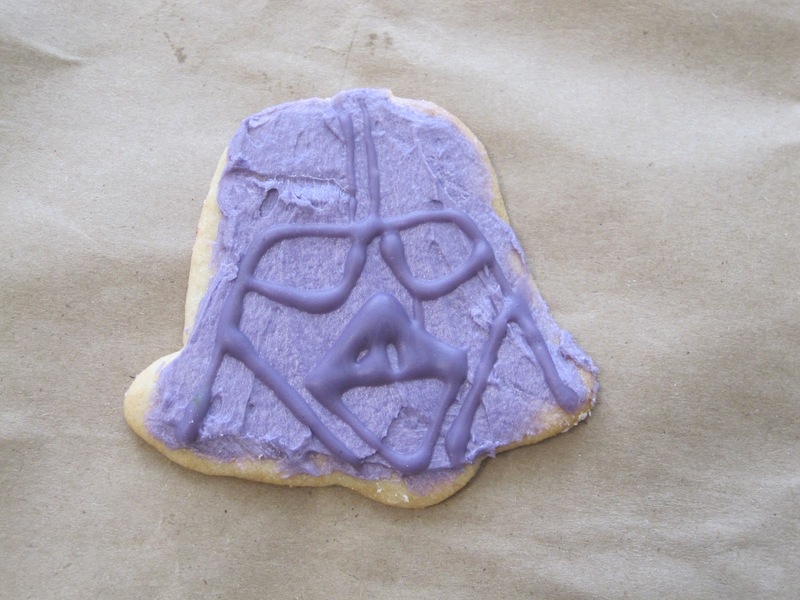 It needs sugar and it's rich in pectin. 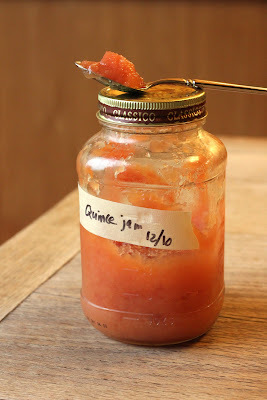 Jam is perhaps the perfect use for quince. Give it sugar and a little water, and it breaks down into a sweet, aromatic slurry. 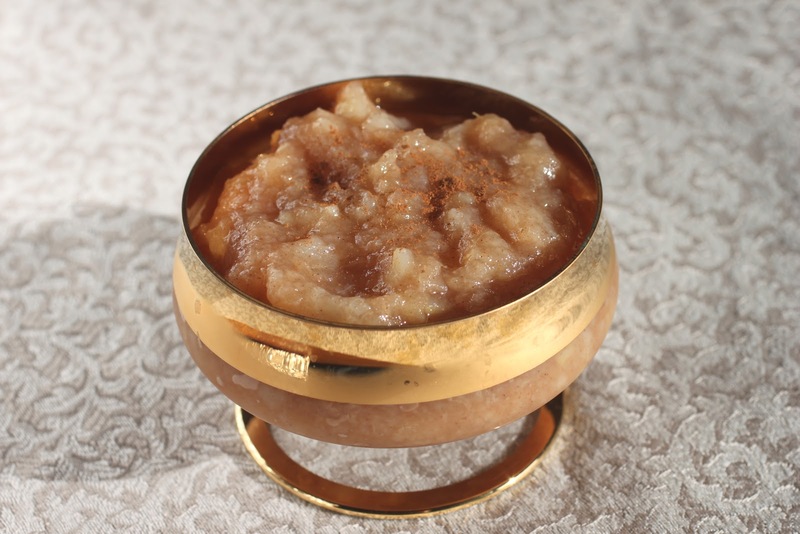 You can use a lot of sugar and cook it aggressively so that it sets up firm, or you can use less sugar and cook it more gently, in which case you end up with jam the texture of thick applesauce. I prefer the latter, but it's your call. 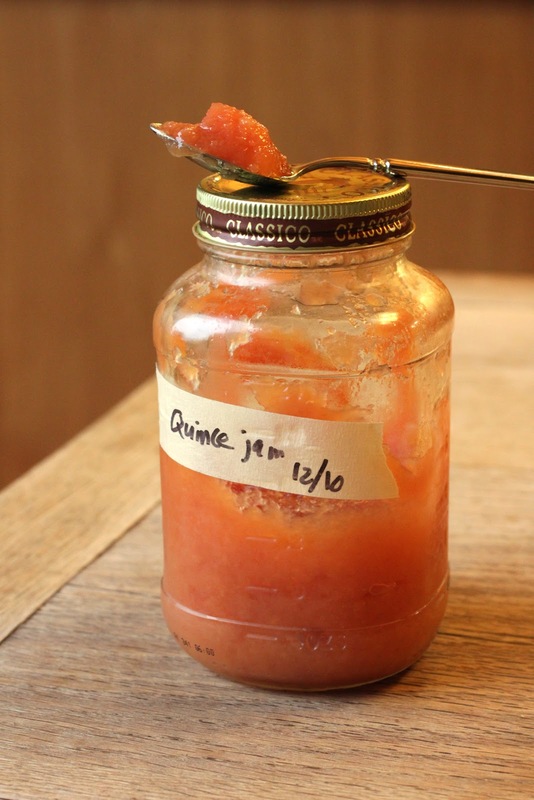 There are all sort of uses for quince jam. It's delicious on toast. My husband stirs it into his oatmeal. 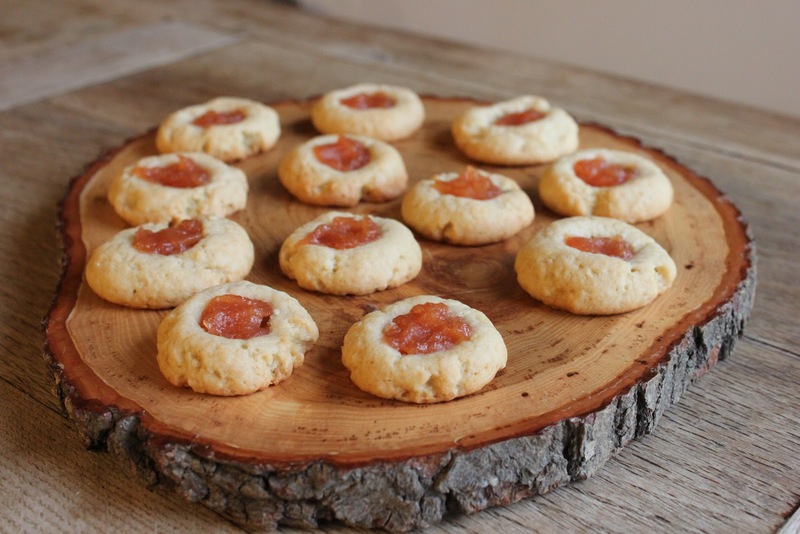 Last week I used it to glaze a roast duck, and yesterday I spooned it into little thumbprint cookies. Just make sure you label the jar. If you're like me, you also have homemade apricot jam in your refrigerator in a recycled spaghetti sauce jar. And it's hard to tell the two apart on first glance. Note: I have made friends with Jim, the produce manager at Bob's Market in Santa Monica. Bob's is an old-fashioned, family-owned, non-chain market in my neighborhood with a full-service butcher, excellent produce, and reasonable prices. Jim goes down to the wholesale produce market himself in the wee morning hours almost every day, and after 30 years in the business, he knows his suppliers. He greets my requests for 10 pounds of sunchokes or a case of quince with a smile. He can get anything. If you're near Santa Monica, you'd be well advised to meet Jim - please tell him I sent you. If you're not, and you want to get your hands on something unusual or in large quantities, don't be afraid to introduce yourself to the produce manager of your store. He or she probably has connections to get you what you need. 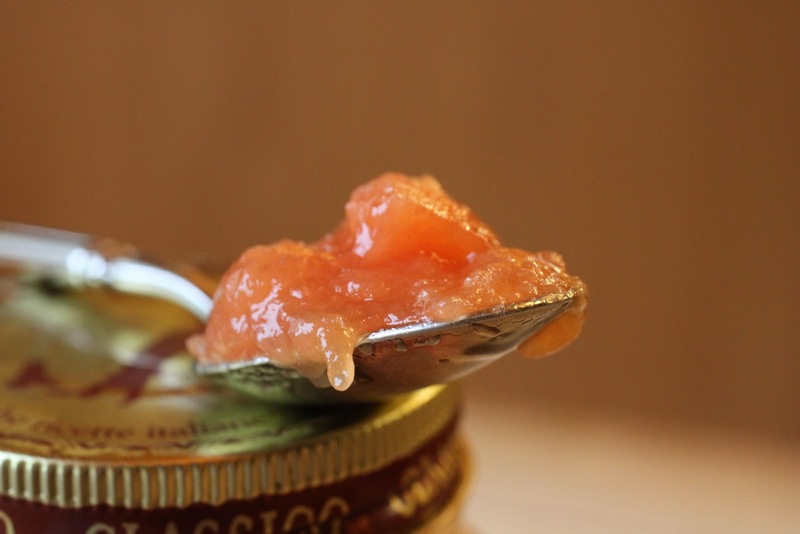 Quince season is short; make it last by putting up a few jars of this delicious jam. Have a few clean jars ready to go. You can use canning jars with lids, or even recycled jam or spaghetti sauce jars. (I don't go through the canning process. Jam doesn't last long in our house, so I fill clean jars with hot jam, cover them, let them cool, then refrigerate the jam until we're ready to eat it. I like small-batch jam.) Put all the ingredients into a large, heavy pot. Bring the mixture to a boil over medium-high heat, then cover the pot and cook until the fruit is soft. You may have to turn down the heat a bit to keep the mixture from burning on the bottom of the pot.When the quince is soft, use a potato masher to break up the fruit. Continue to boil until the jam mixture is thickened and looks glossy instead of watery. I can't give you an exact time - it depends how much water there was in your fruit to start with. When the jam has thickened, ladle it into the clean jars almost to the top, wipe the rims clean, and put the lids on finger-tight. Leave the jars on the counter to cool. You may hear the lids "ping" as the jam cools, forming a seal. You may not. It doesn't matter if you're going to keep the jam in the refrigerator and use it within a month or two. Which you will. Trust me. 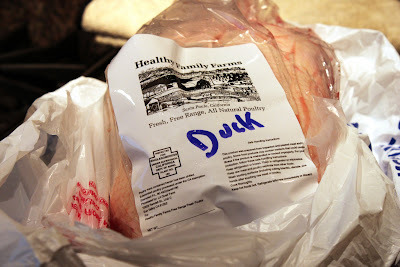 Last weekend I went to our local farmers' market to buy lettuce and came home with a duck. It was b'shert (Hebrew, meaning fate, destiny, the perfect match. Usually refers to a spouse or other love interest - close enough). I got into a conversation about how December strawberries make me love southern California even more, and next thing I knew I was buying a free-range duck from Healthy Family Farms, who had the stand next to the strawberry people at the Virginia Park market in Santa Monica. Lots of chickens in the coolers, but only one duck, a beautiful Pekin (not a typo - the breed is Pekin, the Chinese delicacy is Peking). I'd been craving duck for weeks, maybe months. It was a split-second decision. The Pekin duck was mine. I'd never roasted a whole duck, so I asked for advice. "Here's what you do," said Juan-Luis. "Boil the duck in a big pot of water for half an hour. Then dry it, season it however you like, and roast it at 400 for an hour and a half. Best duck you'll ever eat." I did exactly that. Boiled it up in enough water just to cover it, then used a wad of paper towels drying it off. Salted the parboiled bird, then dusted it with warm spices: cinnamon, cloves, ginger. I roasted it in my big cast-iron skillet. Half an hour before the end, I spread homemade quince jam all over it. Basted a few times and watched it get crispy and dark brown. When I took it out of the oven, the whole family crowded around for a sniff and a peek. I rarely see my men drool, but I swear I saw spittle. Even Hot Dog Boy got excited about this bird. And with good reason. We ripped it apart like cavemen and devoured the whole thing in less than 10 minutes. It was one of the most satisfying meals we've had in a long time - and in my house, that's saying something. Bring a large pot of water to a boil. Gently lower the duck into the boiling water, then turn down the heat to maintain an aggressive simmer. You definitely want to see bubbles. Boil the duck gently for 30 minutes. While the duck is boiling, preheat the oven to 400 degrees. Put a heavy roasting pan or cast-iron skillet into the oven while it's preheating. After half an hour, remove the duck from the boiling water. SAVE THIS WATER; you'll see why in a minute. Drain the water from the duck's cavity back into the pot, put the bird on a plate or cutting board, and dry the duck well with paper towels. Turn the duck breast-side up. Sprinkle the cloves, cinnamon and ginger all over the breast side of the bird, then salt and pepper the bird generously. Put the duck (breast side up) in the hot roasting pan or skillet. Roast the duck a total of 90 minutes. After about 60 minutes, pull the duck out of the oven briefly and spread the quince jam over the breast side of the duck. Baste it a bit with the fat in the pan, then slide it back into the oven to finish roasting. If you feel like basting once or twice more before it's done, fine. If not, it will be just as delicious. 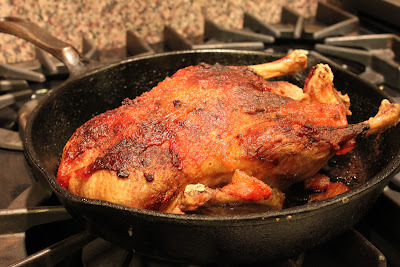 Remove the duck from the oven when it's dark brown and the skin is crisped. Let it rest at least 5 minutes before carving (or tearing apart with your hands). Serve immediately. NOTE: Do not let anyone throw away the duck bones or skin. After everyone is done eating, take all the scraps, plus whatever's left in the roasting pan, and put it all back in the pot of water in which the duck was boiled. Bring the pot back up to a simmer and let it go an hour or more. You will end up with a rich broth, which you'll strain and cool overnight uncovered. The duck fat will rise to the top. Use the broth for soup or cooking rice. Save the duck fat and use it for frying potatoes. You'll thank me. I've got hordes of houseguests descending for the December holidays, and it's my job to feed them. I love having our extended family and friends around, I love cooking for them all, and I'm pretty organized. But shopping for and preparing two weeks of meals for houseguests and other drop-ins intimidates even me. I need help. Enter chef, author and supermom Lucinda Scala Quinn, who knows a lot about feeding crowds. Her must-read cookbook Mad Hungry: Feeding Men and Boys covers the blocking and tackling required to satisfy the immense appetites of teenage boys (she's raised three). Now, as host of the Hallmark Channel series Mad Hungry with Lucinda Scala Quinn, she dishes out the kind of family meals I love to make: cheese fondue, one-pot stews, homemade "Chinese takeout." 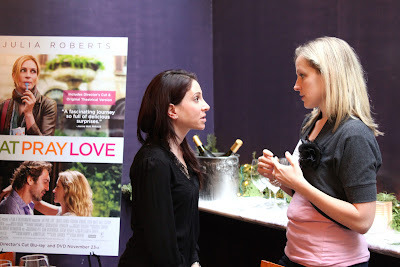 When Lucinda and I met last year we talked about feeding our families; this year Lucinda kindly gave me pointers on how to keep guests happy and well fed over the holidays while still keeping your sanity. I think you'll find her advice useful, too. 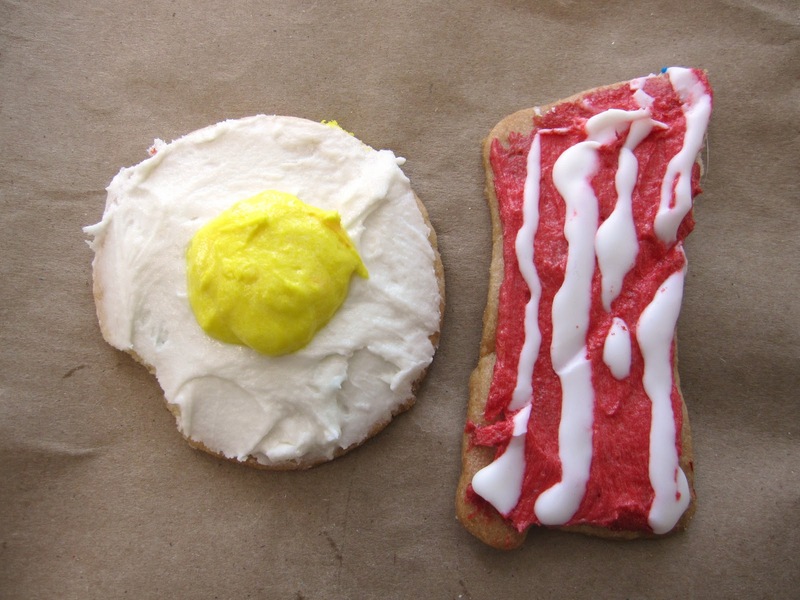 Breakfast: "I'm a breakfast fanatic. I make one breakfast every morning, not different things for everyone. 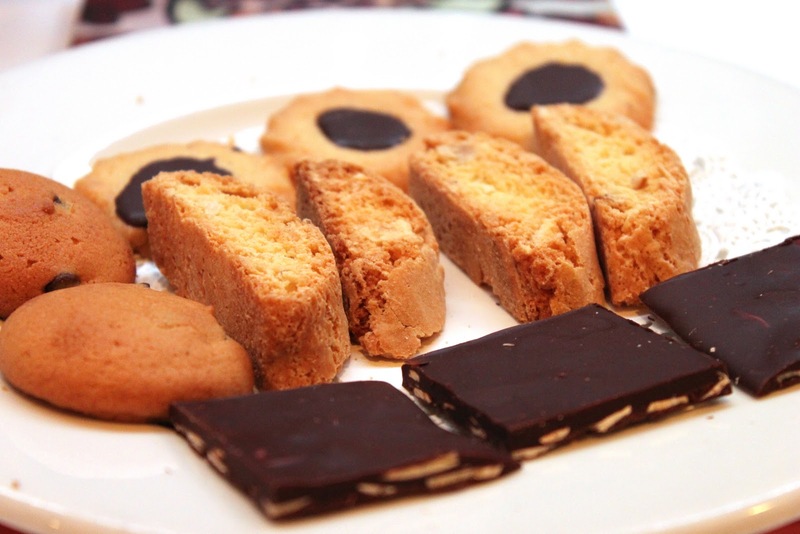 It might be granola and fruit; bacon, egg and cheese sandwiches; oatmeal; coffee cake and hard-boiled eggs. Make sure there's something for everyone. I always have food ready in the morning - it gets people started." Lunch: "I put lunch out at a certain time, and I make sure everyone knows when that is. I'll make pressed sandwiches in large loaves of bread and put them out with a bowl of fruit. Or I'll have two kinds of soup on the stove and serve that with crusty bread. The day after Thanksgiving for lunch I made a big pile of crepes and brought out all the Thanksgiving leftovers, and everyone made their own crepes instead of sandwiches." Snacks: "I'll put out a fruit bowl, olives, nuts, maybe homemade pita chips. A bowl of cleaned radishes with olive oil and a dish of specialty salt. And cheese. I have a problem with cheese - my family is always saying Mom, step away from the cheese!" Dinner: "I try to make a few main dishes ahead and stick them in the freezer, like lasagne or coq au vin. That way, when we've got eight hungry people and I don't feel like cooking, we don't have to go out or order in. Once a week I make chili and serve that with cornbread, or corn chips if I don't have time to make the cornbread." 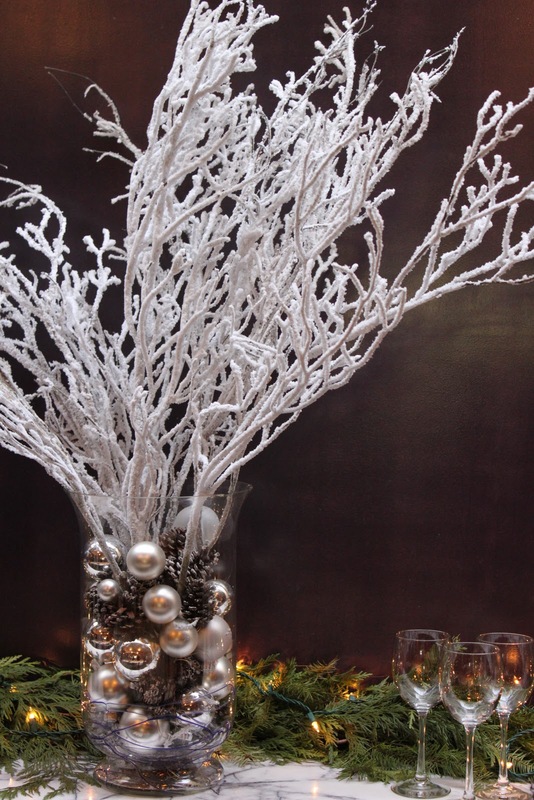 Shopping: "I replenish my liquor cabinet and baking supplies before Thanksgiving. In December I splurge a little: smoked salmon, prosciutto or serrano ham, specialty breadsticks, panettone, dulce de leche. 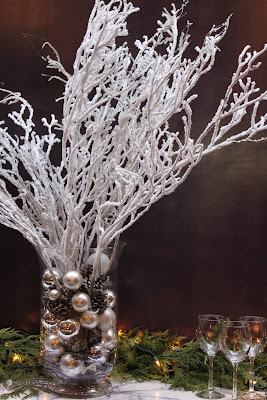 Prosecco to give as gifts or to mix with juice for brunch. Lump crabmeat, which I stretch by making dip or crab cakes. And I buy specialty sodas and flavored seltzers for the kids, because the adults are drinking lots of special things." 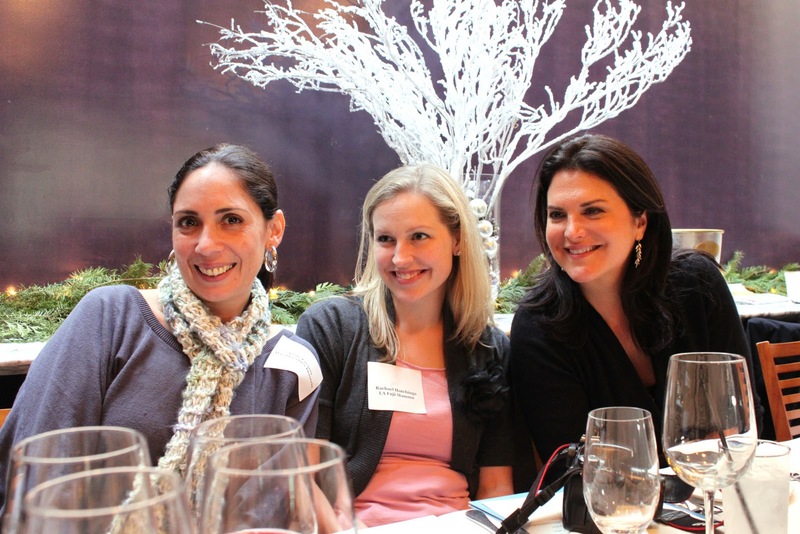 Do you have tips for feeding the holiday crowds? Leave a comment - I need all the help I can get! Central Rome is a difficult place in which to make a food movie. When Spungen was working on the food scenes for Eat Pray Love, the city of Rome limited the number of trucks the production was able to park on the narrow, stone-paved streets. Which meant Spungen was making and plating the food for the shots in a kitchen several blocks away, and production assistants were literally running through the streets with dishes held over their heads. When you're cooking on location, be nice to the local chefs. Spungen had to make pizza for one scene, but the only equipment she was assigned was a portable oven. 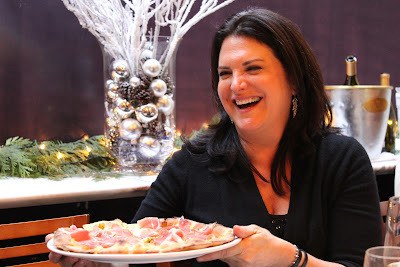 She knew she wouldn't get the blistered crust of a true Italian pizza, "and besides," she said, "we were in a city full of good pizza places. Why should I come to Rome from the U.S. and make the pizza?" She got a local restaurant to deliver the goods on short notice, and everyone was happy. If the food scenes are being shot outside, pray for cool weather. The mercury hit 100 degrees in Rome when they shot the outside cafe scene in Eat Pray Love. It was supposed to be fall, so the cast had to wear sweaters and eat pasta in every take. Keeping plates looking fresh in the heat of a summer day is tough. "We just kept switching them out," said Spungen. Play with your pasta. When plating the spaghetti for Eat Pray Love, Spungen used her hands to twist it into a rope, which she coiled around the plate in a spiral. I forgot to ask her whether she had to find a dozen sprigs of basil that looked exactly the same for the sake of continuity. That sounds challenging. Sadly, most food used in movie shoots goes to waste. Remember the huge piles of chopped onions in Julie & Julia, another film on which Spungen worked? Every time I watch that scene I dream about onion soup. In reality, those onions went into the trash, as does most other food used on film sets and in magazine photo shoots. The crew does get some, but by the time the filming and photography is done, the food is mostly too far gone to eat. Shop 'til you drop. Buy a lot of everything. If you're setting up a close shot of the perfect BLT, for example, you need the perfect tomato, the perfect lettuce, the perfect bread, the perfectly cooked piece of bacon. To find the prince, one must look through and cook and slice a lot of frogs. 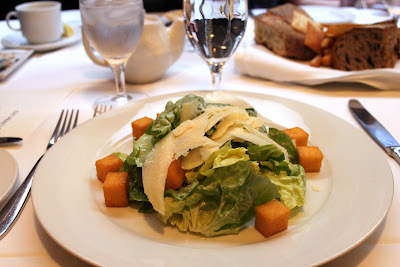 And, if you're creating the perfect BLT for a magazine shoot (Spungen styles food for still photos, too), you're often doing it completely out of season, making procurement that much more difficult. Spungen says she buys everything she can get her hands on, then sorts through the stacks to find the best specimens. 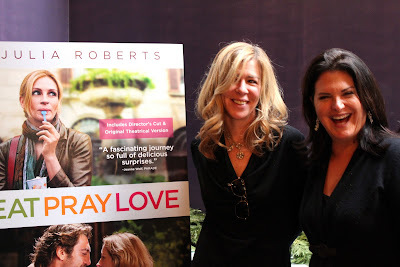 Thanks to Sony Home Entertainment for arranging the event at Vincenti Ristorante with Spungen and Eat Pray Love producer Dede Gardner. Eat Pray Love is now available on Blu-ray and DVD - a great stocking stuffer for the food fanatics in your life, don't you think? I have a quantity problem in general. When it's just my immediate family, I end up with enough for two dinners and three lunchboxes. When I'm having 10 people for dinner, I make enough for 20. When 20 people are coming for Thanksgiving, I cook for the whole neighborhood. 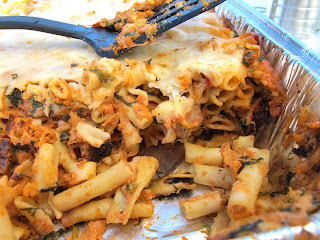 It's not that I don't like leftovers - I do, and I have many tricks for disguising and repurposing them. It's just that the overcooking is so...involuntary. Just once I'd like to make exactly the right amount. Once. Anyway, after Thanksgiving I always end up with extra cranberry sauce. But that's not a bad thing. 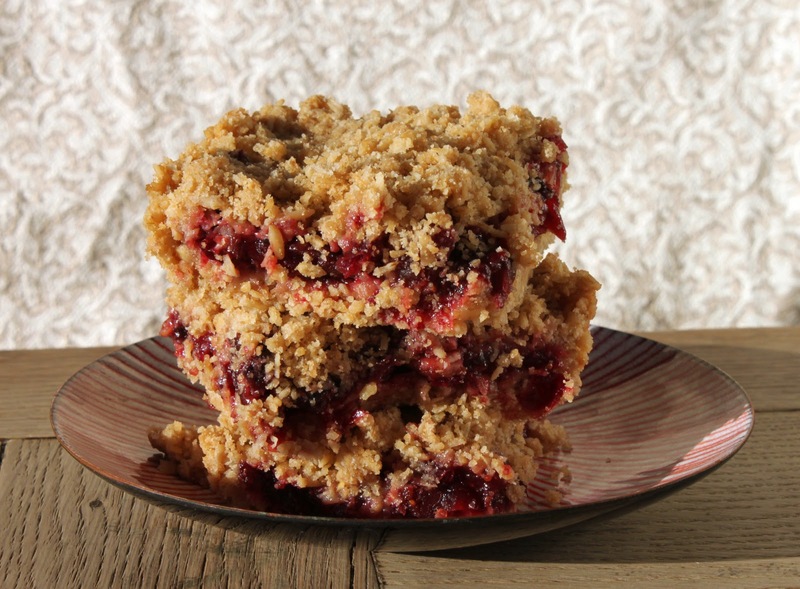 Because I've discovered cranberry oatmeal bars. I've tried cranberry bars with a shortbread crust and crumble topping, but I prefer this version. It's more wholesome and has more texture. It doesn't hold together particularly well, so I served it right from the pan. If you're going to cut them ahead of time, keep the platter in the refrigerator until you're ready to put it out - that should help the bars keep their shape. Normally I use regular five-minute rolled oats, but I happened to have a bag of Coach's Oats from Costco. The bag says "Cracked 'n Toasted Oats - Hearty steel cut texture in 5 minutes!" It looks a lot more like wheat germ than like rolled oats. I'd like to try these bars again with standard rolled oats, but the Coach's Oats did give the bars an interesting texture. In a large bowl, combine the flour, oats, brown sugar, baking powder and melted butter with a fork until crumbly. Press about 2/3 of the mixture into an 8-inch square baking pan, covering the bottom and about 1/2 inch up the sides.Spread the cranberry sauce over the crust in the pan. Sprinkle with the reserved crumbs. Bake 20-30 minutes or until top is golden brown. Cool completely before cutting. There's nothing like soup for using up leftovers. In fact, now that I think about it, I made this soup entirely out of Thanksgiving leftovers. Hooray for frugality. I don't like my sweet potatoes sweet, so I roast them with garlic, chili powder and lime (here's the recipe). 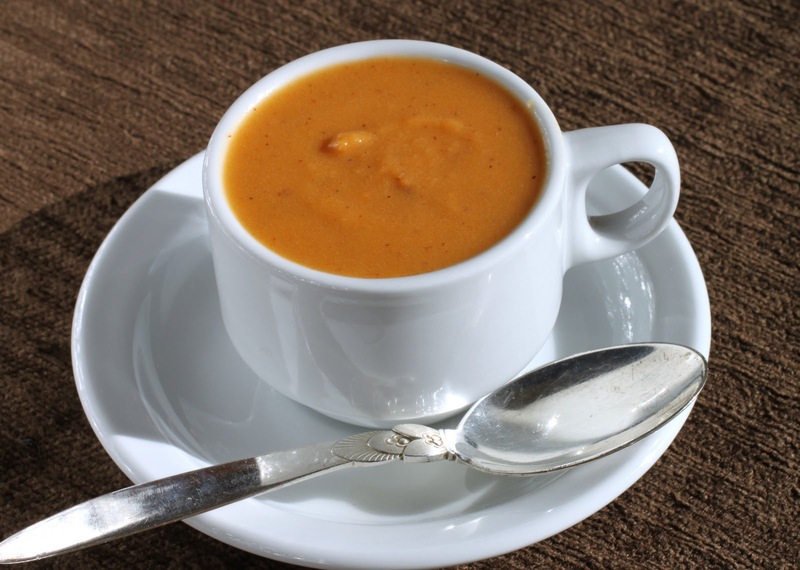 You can just add those flavors to your soup if you don't want to take the trouble to roast the sweet potatoes first. Also note that there's no peeling involved. Sweet potato skins are tasty and healthy - lots of fiber! And once you blend up the soup, you won't even notice them. Bring sweet potatoes and stock to a boil in a pot. Turn down the heat and simmer about 10 minutes (remember, the sweet potatoes are already cooked). Puree in the pot with an immersion blender, or in a countertop blender in batches. Taste and add salt if necessary. Serve hot. Heat the oil in a large pot over medium-high heat. Add the onion and saute about 6 minutes, until the onion is starting to brown and caramelize in spots. Add the garlic and cook another minute. Now add the sweet potatoes and chili powder and continue to saute about 5 minutes. Turn up the heat a little if you need to - you want the sweet potatoes to start to caramelize around the edges to simulate that roasted flavor you get from a hot oven. Add the chicken stock and lime juice and bring the mixture to a boil, then turn down the heat and simmer about 30 minutes, until the sweet potatoes are very soft. Puree until smooth in the pot with an immersion blender, or puree in batches in a countertop blender. Taste and correct the seasonings with salt and pepper (if your chili powder or stock is salty, you may not need much). Serve hot. I never think about making homemade applesauce until Hanukkah rolls around. And then, once I do make it, I wonder why I don't do it more often. 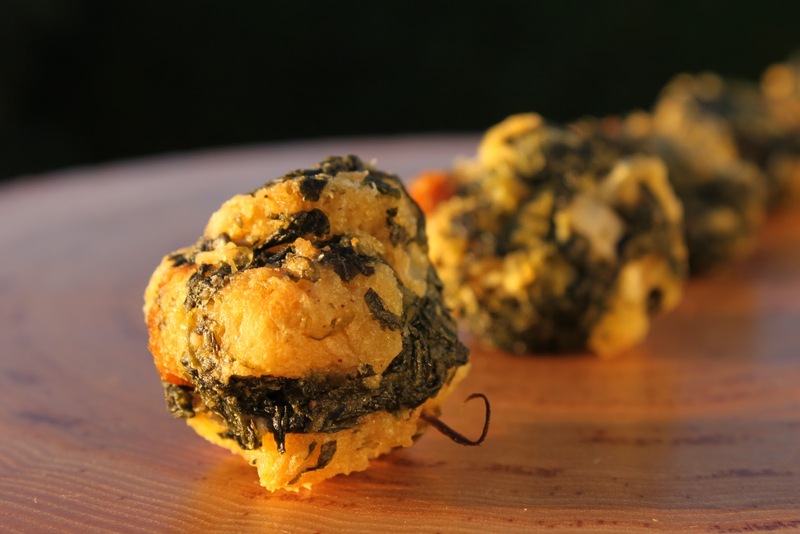 It's so delicious, and so easy, and so healthy, and did I mention delicious? 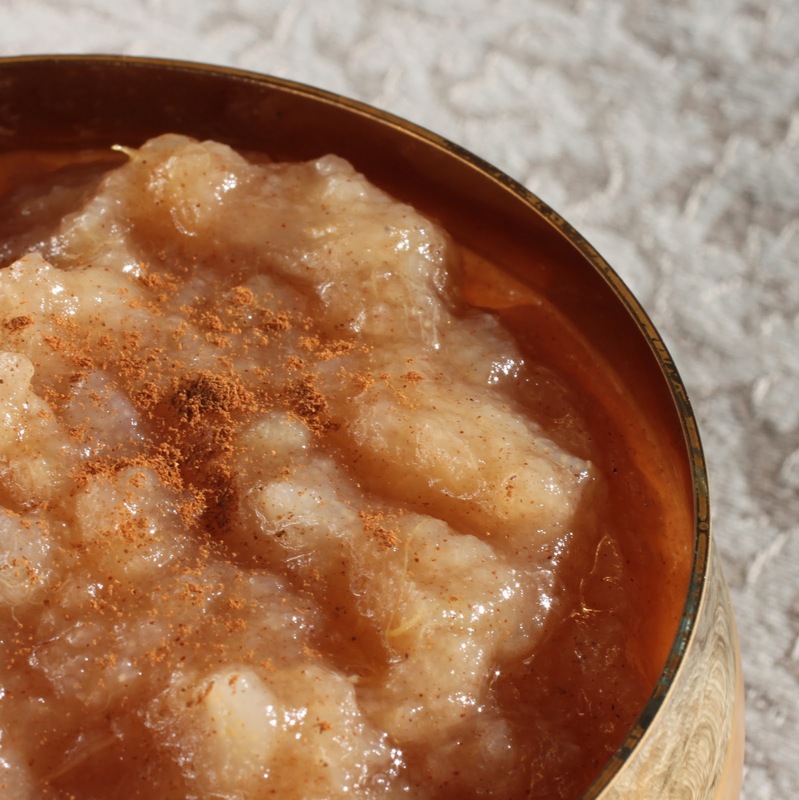 I'm giving you an applesauce recipe, but note that I'm not a fussy applesauce maker. I don't measure, and I use whichever apples I can find at a good price. I also love mixing apples and pears, as I did in the batch pictured here. Bartlett pears go down in price when they turn from green to yellow, and that's when they're really ripe and sweet - perfect for cooking down. I don't even add sugar. What to do with applesauce? Eat it with a spoon from a bowl, that's my number one choice. You can also serve it with potato pancakes (latkes), plop it on top of ice cream, or use it instead of jam in a peanut butter sandwich. Put all ingredients into a large pot. Cover the pot and cook over low heat about 45 minutes, checking now and again to make sure nothing is burning and the pot has a little liquid at the bottom. When the fruit is soft (time will vary depending on the variety you use), use a potato masher to break it up. Simmer uncovered for a few minutes if the sauce seems too watery. I make a lot of stew. It is very, very hard to take a good picture of stew. I am terrible at remembering to hold back ingredients or undercook dishes in order to make a better photograph. This lemon chicken recipe is a case in point. I make it often because it's easy, delicious, and well loved in my family. I've wanted to write about it for a year but haven't because I've been unable to get a good shot. That ends today. I must share the lemon chicken recipe with you. You must have the recipe. Today. I use boneless, skinless chicken thighs because they get ultra-tender and fall apart with long, slow cooking. The base of the stew is extremely simple: onions, garlic, lemon, a few herbs. I add some olives and a squeeze of honey. And this time I also put in dried figs, since I'm still working my way through the 16-pound bags of figs graciously given to me by the California Fig Advisory Board. The figs work perfectly with the Mediterranean flavors in this recipe; if you like a little sweet in your savory, do add the figs. I served this lemon chicken with potato latkes for our Hanukkah dinner. I got up early, got the stew into the slow cooker, and left it to cook all day on low while I was at work. When I got home I discovered that someone had turned off the slow cooker. Uh-oh. Fortunately, two hours on the stovetop in a cast iron pot did the trick. It's always good to have a backup plan. In a large pot, heat the olive oil over medium-high heat. Saute the onions until translucent, about 4 minutes; add the garlic and saute another 1 minute (do not let the garlic burn). Add the chicken, lemon zest and juice, salt and pepper, herbs, honey, olives and figs. Bring the pot to a boil, turn down the heat, cover the pot, and cook over very low heat. Check the pot after 30 minutes; the chicken should release enough liquid to keep everything moist, but if it looks dry, add a little water or chicken stock. Cook about two hours, or until the chicken is tender and falling apart, and the rest of the stew is soft and bubbling gently. Serve over rice. 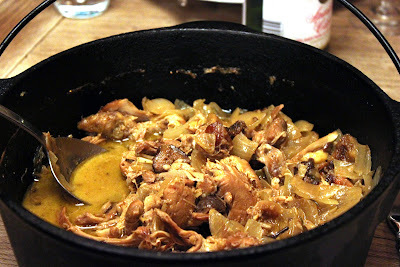 The lemon chicken stew will be even better on the second day, as most stews are. Slow cooker method: Put all ingredients in the slow cooker in this order: onions, garlic, herbs, chicken, lemon zest, lemon juice, honey, olives, figs, salt and pepper. Cook on low 8-10 hours. I am a Thanksgiving renegade. Oh, in most ways I'm quite conventional: I make stuffing, sweet potatoes, mashed potatoes, gravy, cranberry sauce, even pumpkin desserts. But there's one key way in which my Thanksgiving kitchen is pure rebellion. I refuse to roast a whole turkey. It takes too long. It takes up too much space in the oven. The breast is dried out by the time the legs are done. It takes up too much space in the refrigerator the night before. Et cetera. Many years ago my friend Kasey shared with me her secret for hassle-free turkey: She asks the butcher to cut it into parts, like a chicken. That way you can roast it flat. You can store it overnight in a plastic bag. You can roast the white and dark meat separately, so you can pull them at different times. And it cooks in half the time of a whole bird. I've been doing turkey this way ever since. I go one step further and have my butcher bone the breast halves, which makes carving a snap. I also order an extra breast to be sure we have enough leftovers. You have to be willing to give up on the big reveal of the burnished bird. I'm fine with that; everyone's too busy to notice anyway. You also need a friendly butcher, like the guys at my beloved Bob's Market in Santa Monica, which shouldn't be a problem unless you're buying a frozen supermarket turkey. (If you are, you'll have to learn to take it apart yourself. Think "big chicken.") It's worth finding a butcher, because the absolute best thing about this method is that it gives you plenty of time to concentrate on the sides - aren't they the stars of the show, anyway? 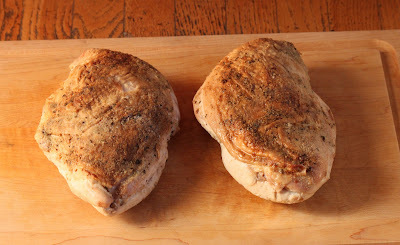 Put the breast halves skin-side up in one roasting pan. In another, put the legs, thighs, and wings. Rub everything with a little olive oil and sprinkle it liberally with the garlic salt, paprika, and/or whatever spices you prefer. I keep it really simple, but it's up to you. Put the turkey in the oven. You want to roast it to an internal temperature of about 165 degrees, because once you take it out, it will rise to the desired 170 while it's resting. For a 15-pound turkey, I start basting after an hour and checking the temperature after 90 minutes. If yours is smaller, start everything sooner. There's nothing worse than overcooked turkey. When the turkey parts reach 165, take them out of the oven, cover them with foil, and let them rest at least 20 minutes before carving. Note that you do not have to pull the dark and light meat at the same time - that's the beauty of this method. Take each pan out when it's ready. Carve, which should be extremely quick and easy. If, after carving, you need to rewarm the meat, pour some of the pan juices over the carved meat, cover the dish with foil, and put the whole platter in the oven for a few minutes. 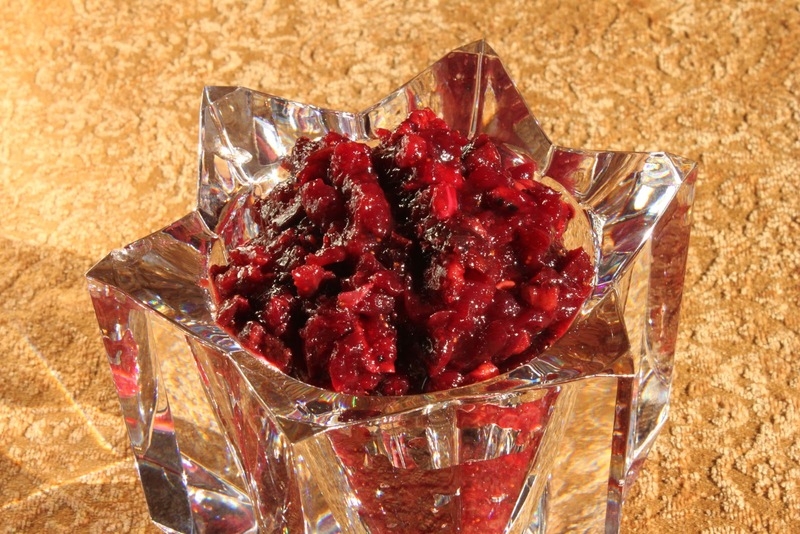 What can you do with leftover cranberry sauce? 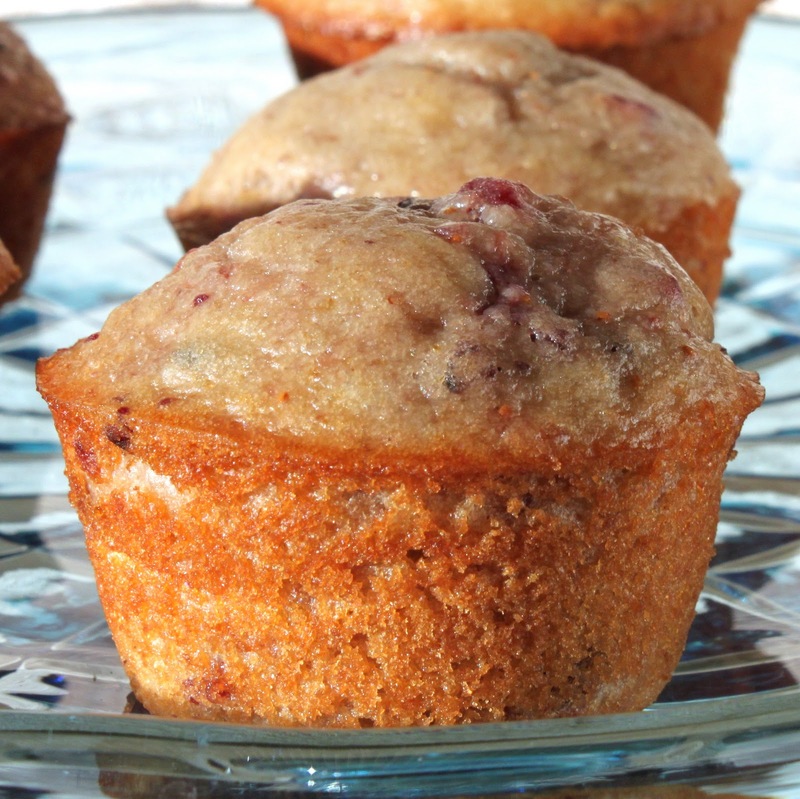 Lots of things, actually, including these delicious morning-after cranberry sauce muffins. They took just about half an hour to make, and my family gobbled them up. My younger son, who admittedly has a bit of a sweet tooth, ate three for breakfast and would have had a fourth if I hadn't intervened. I had to stop him: There's only so much sugar high I can take on a holiday weekend. The batter for these muffins is as basic as it comes: flour, sugar, eggs, milk, oil. 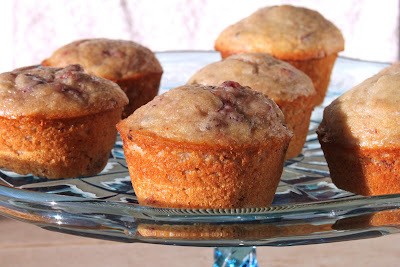 I added wheat germ for a little boost of texture and nutrition, but they'd be fine without, too, if you like your muffins more delicate than hearty. I used leftover cranberry fig relish, possibly the most delicious cranberry sauce I've ever encountered. But any chunky cranberry sauce will work. Just don't try the canned jellied kind - you definitely want the whole fruit. In a large bowl, sift together the flour, sugar, salt and baking powder. In a measuring cup, mix together the milk, oil and egg. Combine the wet and dry ingredients in the bowl, folding gently just until everything is incorporated. Stir in the wheat germ and cranberry sauce. 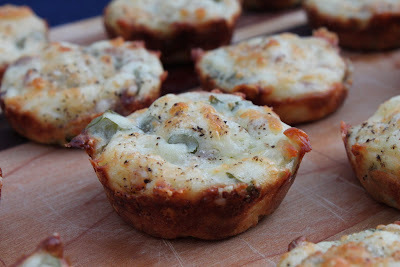 Spray a 12-cup muffin tin with cooking spray and divide the batter evenly among the muffin cups. Bake about 25 minutes, until the tops are light golden brown and a toothpick comes out clean. Turn the muffins out of the tin and cool on a rack. Serve warm or at room temperature. Every good cook seems to have a knockout Thanksgiving recipe for fresh cranberry sauce or fresh cranberry relish. This is my new knockout recipe, a cranberry relish with dried figs and pecans. It's not actually my recipe - it comes from the California Fig Advisory Board website. I found the recipe when the California fig folks kindly sent me several large bags of dried figs with which to experiment. I know you'll love it. And yes, I know Thanksgiving has come and gone. But there's always Christmas. And next Thanksgiving. Some of us like to be prepared. Combine orange juice, figs and wine in medium, non-reactive saucepan; bring to a boil. Cover, reduce heat, and simmer 10 minutes. Add granulated sugar, brown sugar and cranberries. Cook over medium heat 10 minutes or until mixture is slightly thickened and berries pop, stirring occasionally. Cool slightly. Stir in pecans. Cover and chill. Makes 1 1/2 cups sauce. Of course, I quadrupled the recipe, just to make sure we'd have enough. It was chilly and I wanted something warm and cozy. 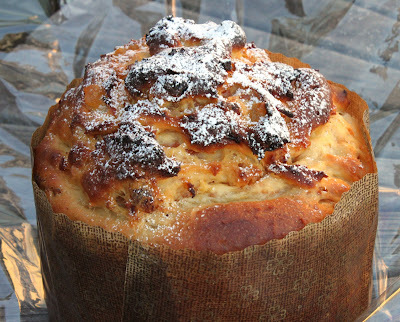 I'd baked fresh bread and wanted something luscious and creamy to spread on it. Nothing is more welcoming for guests than the smell of frying onions. The day before I'd received a package from the California Fig Advisory Board containing 16 POUNDS (yes, you read that right) of delicious dried figs. Now I know I've told you about my love affair with fresh figs (and the resulting fig cake with almonds, fig goat cheese pie, and fresh fig salad with feta cheese). 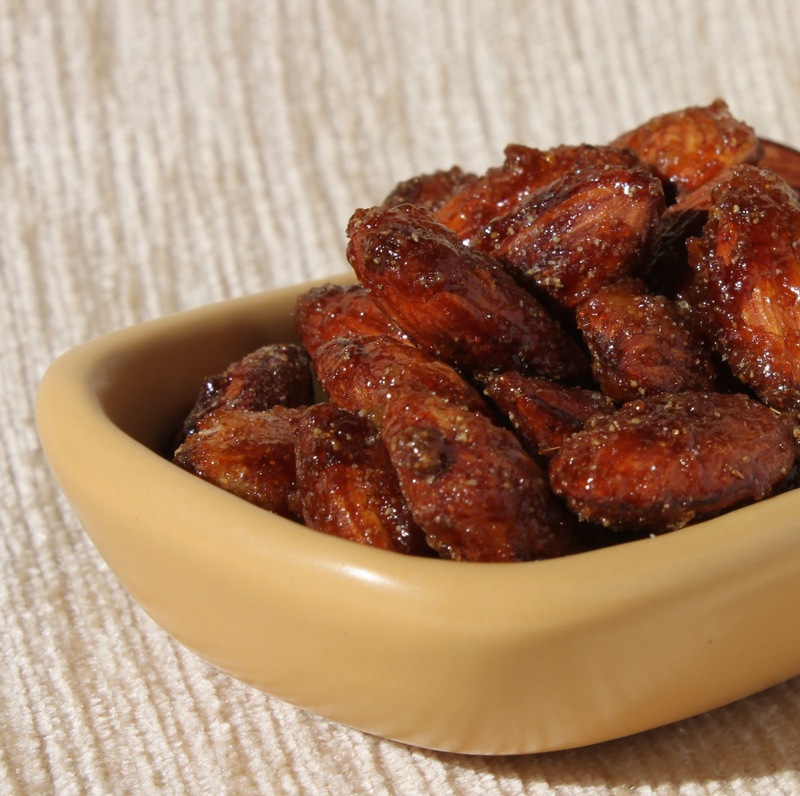 Dried figs, however, are another matter. Where fresh figs taste light and barely sweet, dried figs are sticky and chewy, a little gritty from the tiny seeds inside. I hadn't spent a lot of time with dried figs. 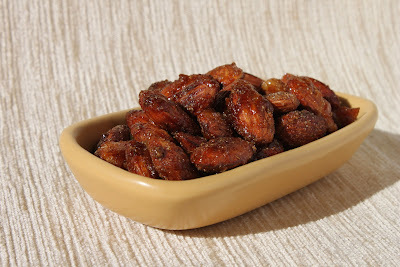 I decided to start with this recipe from the California Figs website. It couldn't be easier: You crumble goat cheese in the bottom of a baking dish, then saute some onions. 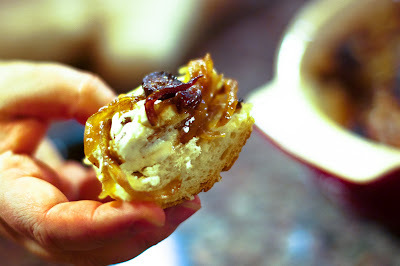 Add chopped figs plumped in a little sherry and spread the whole mixture over the goat cheese. You pop it into the oven and everything comes together. It's a little messy when you scoop it on slices of bread, but the right kind of messy. The kind that makes you want to lick every little crevice of your hand. 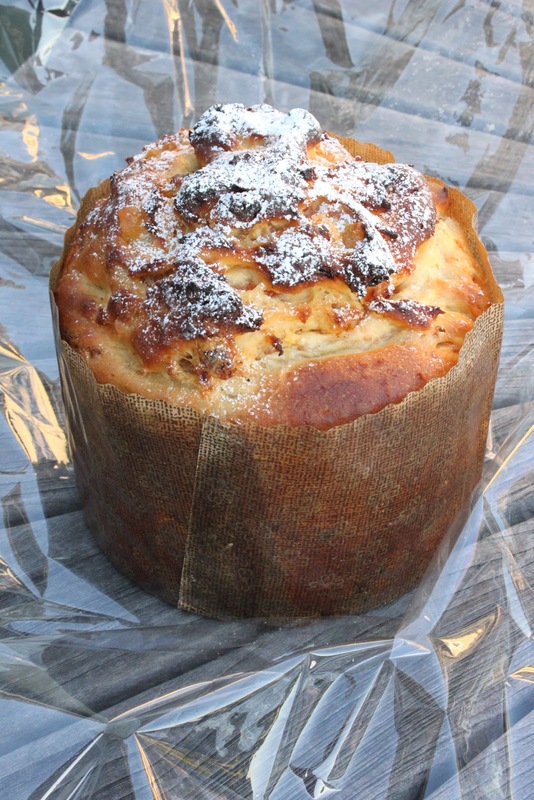 Preheat oven to 350° F. Crumble goat cheese into an oven-safe dish and set aside. In a small pot, combine figs and sherry with enough water to barely cover figs. 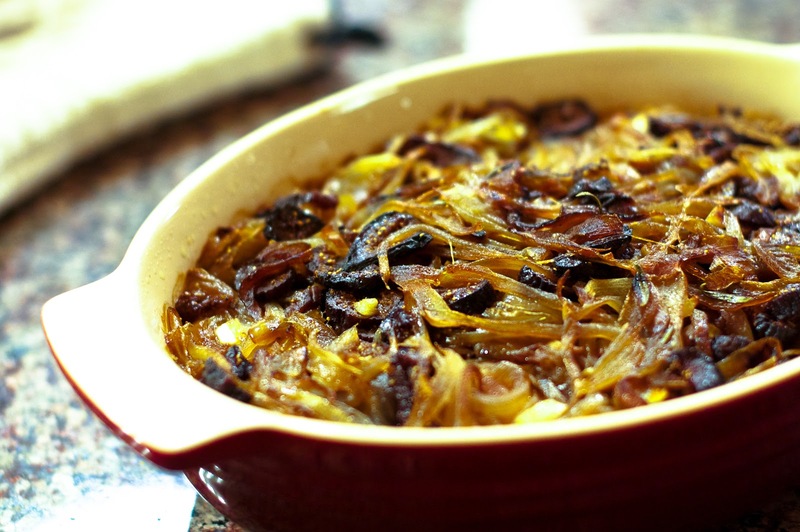 Place pot over high heat and bring to a boil, cover and remove from heat and let figs plump while onions are cooking. Pour olive oil into a large skillet and place over medium heat. Add onions, garlic, rosemary, salt and pepper and cook, stirring often, for about 10 minutes, or until lightly browned. Using a slotted spoon, remove plumped figs from the pot, leaving behind any of the liquid. Add figs to cooked onions, stir to combine and then spoon over goat cheese. Place dish into top half of oven for 20 minutes, until edges begin to bubble. Remove and serve immediately with sliced baguettes. 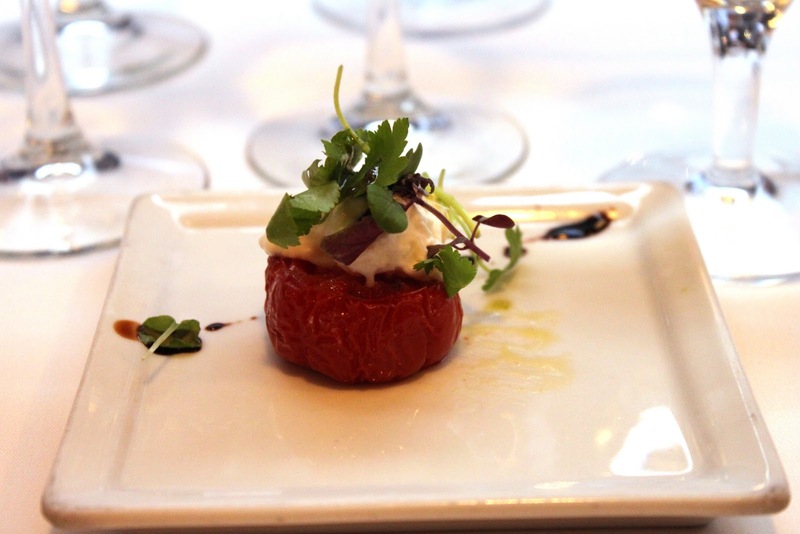 Note: Thanks to the California Fig Advisory Board for providing the figs used in this recipe. My love affair with quince continues. Sometimes, as a native New Yorker living in southern California, I feel like I've landed in a sort of agricultural Wonka factory, where every time I turn around I'm discovering a new fruit or vegetable that makes me as giddy as a Fizzy Lifting Drink. My first taste of poached quince was a Fizzy Lifting Drink moment. I expected the taste and texture of canned pears, somehow; instead I got pure thick velvet, scented with rose and apricot. It swept me off my feet. I polled the crowd on the In Erika's Kitchen Facebook page about quince. Shirin, another home cook in Los Angeles, waxed wistful about her mother's Persian beef stew with quince. I had to have the recipe. Shirin got it from her mom, Haydeh, and with their permission I share it with you. I can't find the words to describe just how delicious and unusual this beef stew is. Beef, quince, prunes and turmeric combine to make a rich, aromatic broth. It smells and tastes like a fireplace in winter: warm, thick, a little smoky. 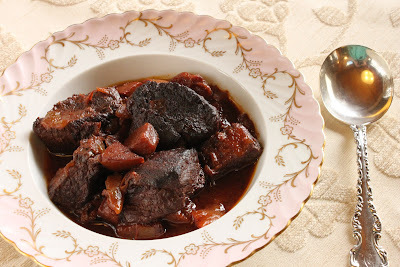 I made this beef stew in the slow cooker, although it could easily cook on the stove. If you have trouble finding quince, ask the produce manager at a local gourmet grocery - he or she should be able to find you some until the end of the year. Heat 3 Tbsp olive oil in a large pot over medium-high heat. Brown the meat in batches until it is seared well on all sides, then remove the meat to a plate. Add the onions and cook 6-8 minutes, until the onions are starting to brown nicely. Add the meat and any juices that have accumulated on the plate back to the pot. Add the turmeric, cinnamon, tomato paste, lemon juice, salt and pepper, and enough water to come halfway up the meat mixture. Stir to combine and bring the pot to a simmer. While the meat is coming to a simmer, heat the remaining 1 Tbsp olive oil in a skillet and saute the quince for a few minutes. You don't want to cook it thoroughly, just to start caramelizing the edges. Add the quince to the stew pot along with the prunes and honey. By this time the stew should be simmering; stir everything to combine, cover the pot, and let it cook a good three hours over very low heat. Check it occasionally to make sure there is enough liquid in the pot, and if it looks dry, add some water. Shirin notes that the longer it cooks, the better it will be. Slow cooker method: After you brown the meat and onions, add them to the slow cooker along with the turmeric, cinnamon, tomato paste, lemon juice, salt and pepper, and a cup or two of water. 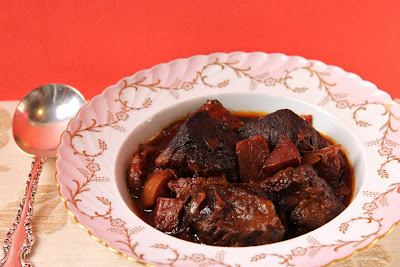 Saute the quince and add those to the slow cooker along with the prunes. Drizzle the honey over all. Cover the slow cooker and cook on low for 8 hours. Do you ever read a recipe and think "Now. Right now. I must make that RIGHT NOW"? 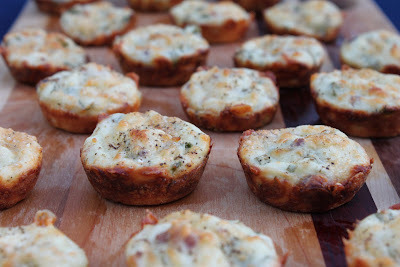 That's what happened when I saw the gruyere cheese mini appetizers on Inside the Kaganoff Kitchen, my dear friend Rachel's ultra-fabulous blog. Perfect little puffs of cheese - that's exactly what I wanted at that exact moment. Except I had no gruyere. And no chives. I had Jarlsberg and green onions. And I was also in the mood for bacon. So, as cooks often do, I made Rachel's cheese puffs my way. I know hers were delicious (everything she makes is delicious, and I say that as someone who has eaten at her table many times). Mine were too. These are so light and cheesy that they almost taste like gougeres. They're far less trouble. I love the nuttiness of the Jarlsberg, but any similar cheese would work fine. Preheat oven to 375 degrees. 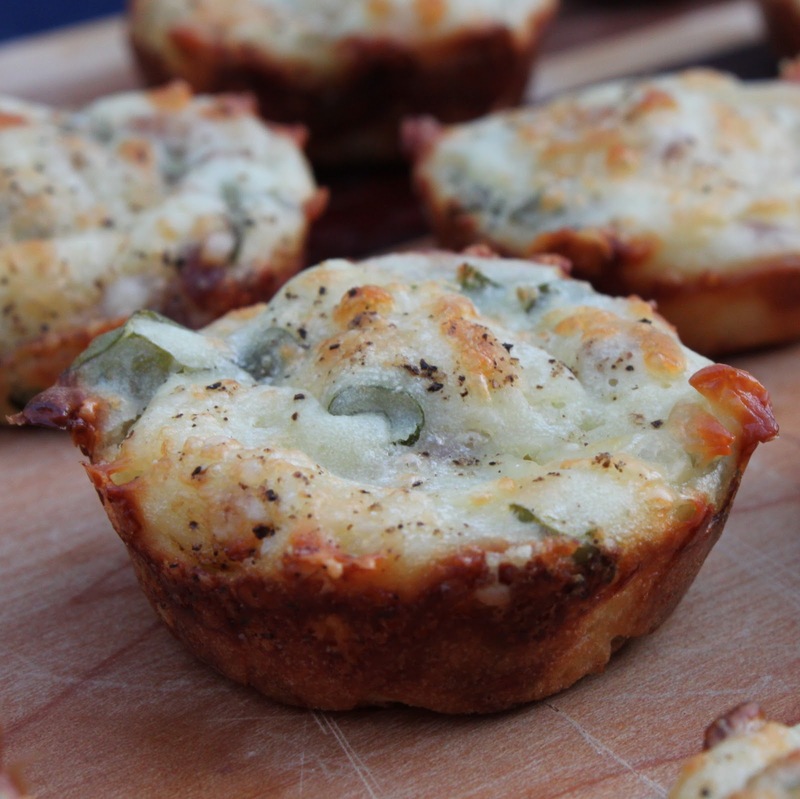 Spray a 24-cup mini-muffin tin with cooking spray. Whisk together the flour and baking powder in a large bowl. In a mixing cup, blend the buttermilk and the egg, then add them to the flour mixture and stir just until blended. Add the grated Jarlsberg, green onions, bacon, and pepper to taste. Rachel suggests letting the mixture rest 15 minutes, but I was way too impatient for that. Your call. Divide the batter among the mini-muffin cups. Bake until puffed and golden brown, about 20 minutes. Serve immediately. Note: I received a free sample of Jarlsberg cheese via my participation in the Foodbuzz Tastemaker program. I have two sons. One is a true gourmet: reads cookbooks for fun, makes specific lunchbox requests, plans menus weeks in advance. The other would eat hot dogs for every meal if allowed. 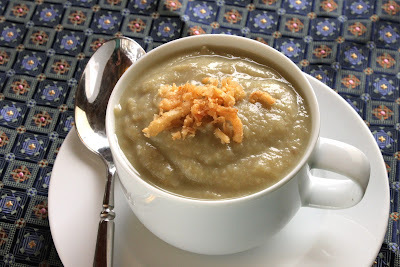 So which son counts this artichoke potato soup among his favorite dishes ever? Surprisingly, it's Hot Dog Boy. The first time I made artichoke soup I fully expected him to take his "no thank you bite" and push his bowl away. Instead he powered through his serving and asked for seconds. And thirds. Was it the croutons? The lemon? Some biological imperative compelling him to take in fiber, vitamin C, vitamin K, folate, magnesium, potassium, copper and manganese, all of which artichokes supply? Who knows. Whatever the reason, artichoke soup is a reliable way to get vegetables into Hot Dog Boy. And the rest of the family likes it too. When I make artichoke soup, Hot Dog Boy is my "taster tester." After I puree it, we both taste, and he decides how much lemon, salt and pepper to add. He is exacting: "It needs a touch more acid," he is known to say. Hot Dog Boy has quite a refined palate for someone who prefers to exist on processed meat products. 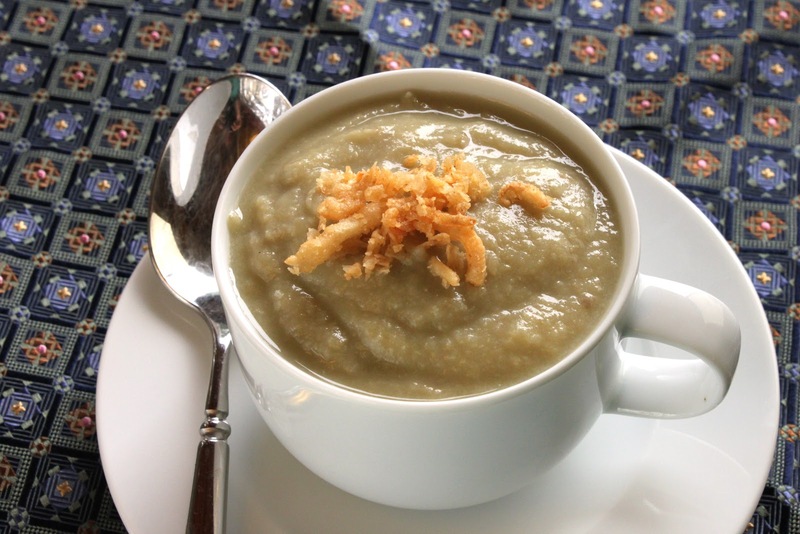 Don't bother peeling the potato; this isn't one of those refined smooth-as-silk soups. This is a weeknight soup, thick and hearty and healthy. Substitute vegetable stock or even water for the chicken stock and presto!, you've got a vegan soup. 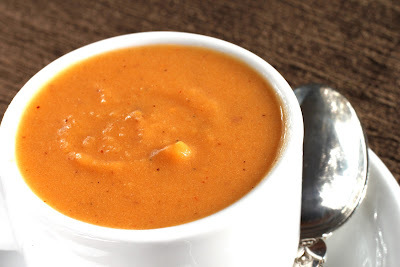 And if you don't own a hand-held immersion blender , you can certainly puree the soup in a regular countertop blender, but wow, what a pain in the neck. Spend the $30 and get the stick blender . You won't be sorry. Heat the olive oil in a saucepan over medium heat, then add the onion. Sweat the onion about 5 minutes, until it's translucent; try not to let it brown, but if it does, it's not the end of the world. Add the artichoke hearts, potato and chicken stock, and bring the mixture to a boil. Turn down the heat and simmer the soup about 30 minutes, until all the vegetables are soft. Using a hand-held immersion blender , puree the soup in the pot until smooth. Add half the lemon juice, some salt, and a few grinds of pepper, and taste. Adjust the seasonings until you're satisfied. Serve hot, topped with croutons or fried onions .